Professional Website Design in Baltimore that is tailored to meet your needs. Is Your Website Working Hard For Your Restaurant? What is Restaurant Web Design? Every Restaurant Web Design has the key ingredients to ensure your website is created with purpose. Creating a website is like preparing a wonderful meal, the prep work is so very important. Our restaurant websites are built with purpose, our website design provides your guests with a good experience and contains the necessary elements to give your restaurant strong SEO (search engine optimization) Value with an Organic SEO Structure. Simply put, your restaurant website is saying :look at me” to people searching online in your area. What are the Benefits of a Good Restaurant Web Design? There are many benefits to restaurant web design when it is properly performed. A quality restaurant web design gives you a chance to make a strong first impression, and in many cases is the very first impression people get of your restaurant. An unprofessional website could leave diners thinking your restaurant is dated or maybe the quality isn’t that good. Think of the time you spending making your restaurant looking good so diners have a good impression of your business. Your website should represent your restaurant well, be very careful not to neglect the face of your business online by discounting the importance of a quality web design. Search Engine Optimization, more commonly known as SEO, is one of the biggest terms thrown around today when talking about restaurant websites. Search Engine Optimization is simply optimizing your website in order to rank better with the search engines when people are looking for a place to eat, sounds simple but it is far from being simple. The organic structure of your website needs to be properly optimized to make sure that the search engines are able to find your restaurant when people are looking for a place to eat. When people are searching your restaurant website is coded correctly and is providing the terms in the way that the search engines want to see them you stand a much better chance of ranking better and getting your restaurant found online. Our web design process ensures organic seo best practices are implemented to help your restaurant get found online. 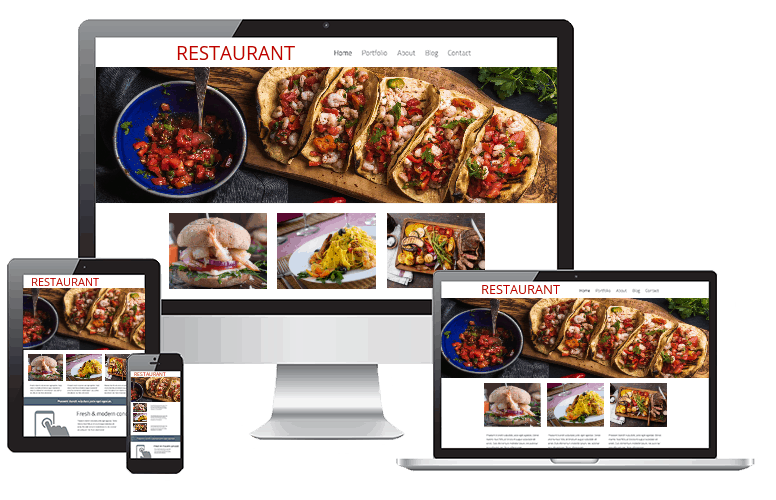 A well designed restaurant website allows your business to compete stronger in your market, even if you are competing against a much larger competitor. As you know the restaurant business is a tough business, you need every advantage you can get. Having a restaurant website that is working working properly for your business is a huge help. Your website can show potential diners how good your food looks (food photos are extremely helpful), what your specials are, promote your catering and display your menu. This is a huge opportunity to increase your market share if you have a properly designed website. Good restaurant web design is more than just a pretty face, it is built with purpose. A restaurant website is a great tool to have for your business. You can promote your specials, menu items, catering, online reviews, featured dishes, profitable dishes and more. You can have printable menus as well and even direct callers to your website to print your menu if they are wanting to make a lunch run for the office. You can also have your job application on your website so you can direct job seekers to your website so they can print the application and have it filled out before they come in. We can even have videos within your website so you can really promote your restaurant and speak directly to potential diners. What is included with the Restaurant Web Design? Everyone of our restaurant websites have a responsive layout, without exception . This feature is so very important, not only for the SEO Value that it gives your website but the viewing experience it gives your customers. 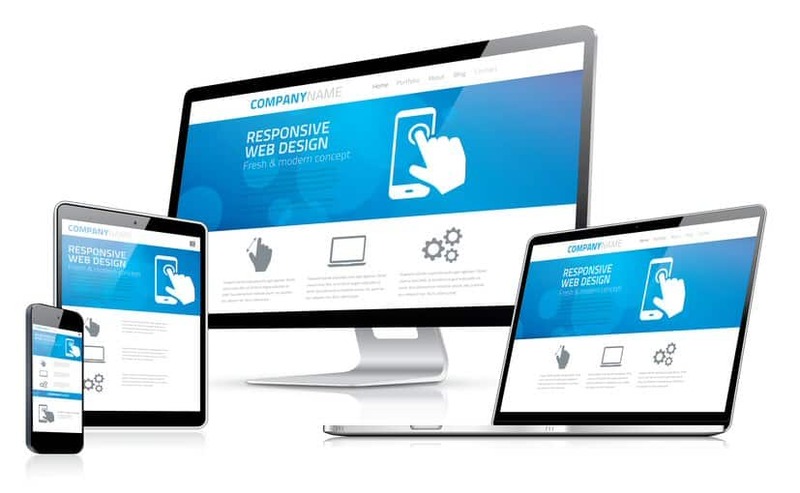 The content in a responsive website will reconfigure itself to fit the device that is being used to view it. A responsive web design will be able to be viewed on any size monitor, tablets and mobile devices. Having a mobile friendly website is so very important, it gives people on the go the information about your restaurant. In the first quarter of 2015 Google announced that when people use their mobile devices to search for a restaurant if the restaurant website is not mobile friendly it would rank it at the bottom, this is devastating for a website that are not mobile friendly. Our websites have been mobile friendly long before then because we have always believed in providing a good experience for people on the go, and people are using their mobile devices more and more. This feature is built into out framework, it is not an add on or a patch, nor is it a separate mobile website like many other places. When it comes to restaurant web design it is mobile friendly or bust. Organic SEO, also known as onsite SEO, is included in every website we design. This increases the likelihood of your restaurant website being found online, we incorporate proper Organic SEO best practices in our restaurant web design. Surprisingly most websites we see do not have proper Organic SEO and suffer as a result. Organic SEO is where we go in and properly setup your website with the phrases people are searching for and do it in a way that the search engines want to see. This has to be done the right way, no short cuts or games should be played here in an attempt to cheat the system to achieve better ranks because Google can penalize and black list your website if it determines that this is being done. Setting this up the right way gives your website much healthier and stronger growth with the search engines. The visuals of your restaurant website are so very important, quality stock food images need to be used to get the viewers attention so they will want to stick around and explore your website. Good quality images make people want to visit your restaurant. The images we use are free of any copyright issues protecting your business from being contacted for any copyright infringements. This is actually a big deal, many web design companies grab images from the internet and use them for business websites and then later on the business gets contacted informing them they owe hundreds of dollars for the use of the image, this amount typically starts around six hundred dollars and goes up from there. What sets Our Restaurant Web Design apart from the others? So many things go undone on restaurant websites simply because people can’t see them, like SEO. We have created a lot of restaurant websites and have put together resources for your restaurant that will help your business in additional ways. We also make sure that we respect your branding and incorporate it into the website. We include Organic Structure within the restaurant website even though it can’t be seen, this is not an add on sale and is not skipped because you would never know any better. This is an important part of the restaurant web design that needs to be done, no exceptions. We also make sure the flow of information is good throughout your website, this allows you to have better control over how your customers are directed within the website. We have a strong background in business consulting and running successful businesses, we use this knowledge in the design of our websites as well. This also helps us build from a business minded standpoint so we see the integration between the business and web design a lot differently than others do. This real world business minded approach to restaurant web design is a valuable asset. We know what diners want online and we make sure we have the necessary ingredients within your structure to guide them to choose your restaurant. What do Your Stand to Lose? Your restaurant website is so very important in so many ways, it really is the foundation for all of your marketing efforts. Many people stay with a bad website out of fear of spending too much money for a website that may or may not be good, they keep telling themselves that the old website will do for now and many other excuses for not making a change. If your competition has a good website you can bet they are taking more of the market share and will take more and more every month that nothing is done. If they don’t have a good website then now is your chance to be the one with the stronger online presence so you can capture that market share from them. Reach out to us and at the least have a telephone appointment so we can explain the benefits of having a good website and how those benefits would specifically apply to your business. No business wants an old run down sign in front of their business and a building that is in desperate need of repair, your website should be no different. Making the Internet Look Good Since 2001! We actually started designing websites in the late 90s but made it official in 2001, not too mention the good ole days of creating servers and bulletin boards via dial up modems before there was any internet. We even fooled around with making video games back in the day, the cell phones now have way more capabilities than the computers we were using then (scary). Even in the early days of web design we were very focused on building websites with purpose and being visually attractive without all of the bells and whistles of the day. Having a Restaurant Isn’t Easy. Chances are you have put a lot of time and effort in getting your restaurant where it is today, you should expect the same hard work from your restaurant website. We understand the struggles of restaurant owners wearing so many different hats and trying to maintain a life in the process, we have gone to great efforts to make your website be something simple for you to manage. A huge part of our restaurant web design process is taking into consideration how easy it will be for you to manage your website content without taking valuable time away from your day. So many of our current clients came to us with bad restaurant websites and bad experiences with other web designers, many of them also came to us as new business owners or first time website buyers. We take great pride in seeing their situations greatly improved and knowing that they are so pleased realizing that their website is not something they have to worry about anymore. They enjoy how easy it is to log into their website using our MIY Service and how fast it is so they can get back to running their business or enjoying some well deserved time off. Our retention rates are very high so we have the great pleasure of seeing many of the businesses grow, it is especially enjoyable helping new business grow and to be a part of that growth. We have many startups that go from spending so much time planning everything to figuring out how they can fit more hours in the day now because they are so busy, it really is a joy for us to see this kind of success. We don’t just build websites, we build lasting relationships. Website Design that is affordable! We take great pride in effectively combining quality and affordability. To find out how we can help your business by improving your website give us a call at (443) 832-3361 or use our Request a Quote Form by pressing the button below. Let us help you with a professional website design that will represent your business like it should, help your business get found online and give people a strong first impression! In a hurry and want to tell us about your project? We are a Baltimore Web Design, website development and SEO company focused on helping businesses gain an effective internet presence. We are a business minded Baltimore Web Design Company that enjoys the challenge of getting to know various industries and developing websites that are valuable business tools and bring success. Brain Power Websites is in Baltimore, Maryland.